Click tabs above to go to the scale of models. The Morris Commercial J-type is a 10 cwt (0.5 ton) van launched by Morris Commercial in 1949 and produced until 1961. 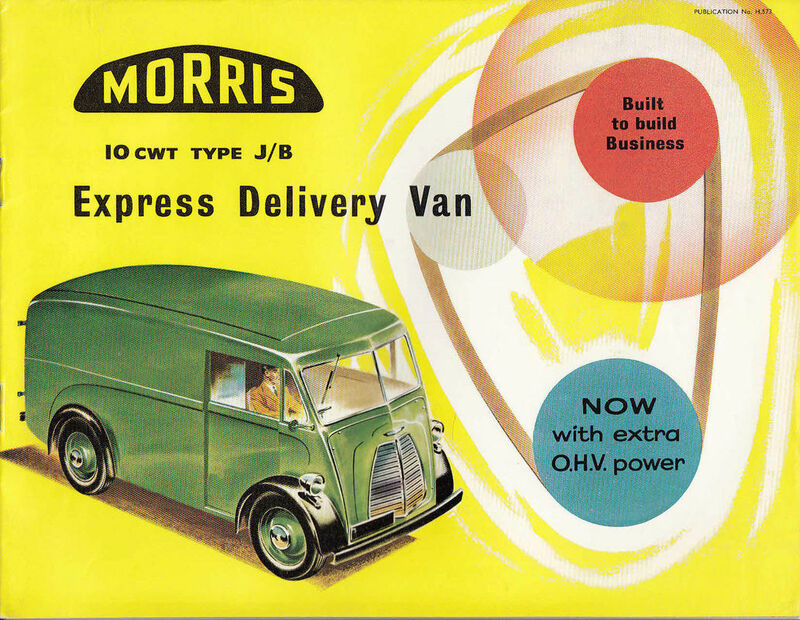 After the formation of the British Motor Corporation (BMC) in 1952, by the merger of Morris's parent company, the Nuffield Organisation, and Austin, the Commercial name was dropped and the van was marketed as the Morris J-type. 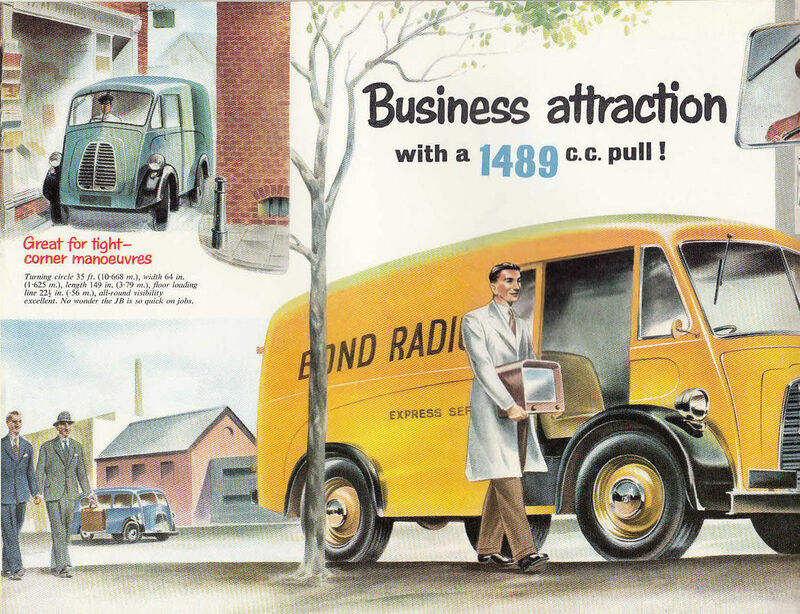 The van followed the emerging trend of having Forward controls and sliding doors on each side. 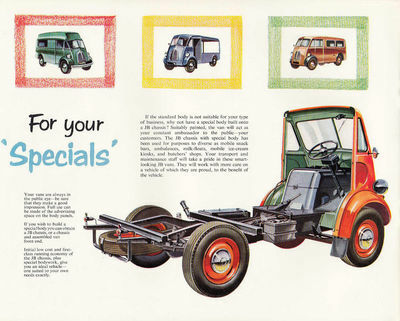 It was made in both left and right hand drive versions. 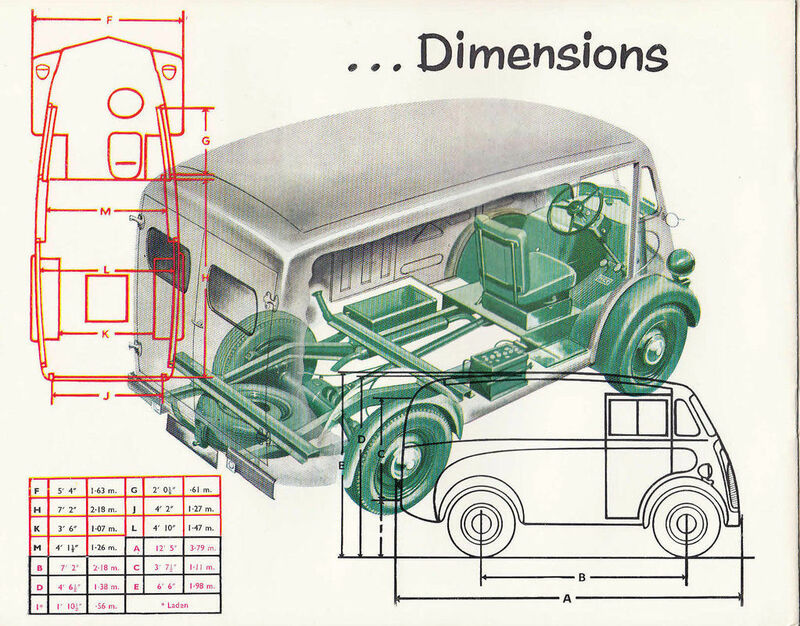 As well as complete vehicles, the J-type was also supplied in chassis form to external body makers and it appeared, amongst other uses, as a pick up, tipper truck, ice cream van and milk float. Many were bought by the British Post Office and these differed from standard in having rubber front and rear wings. 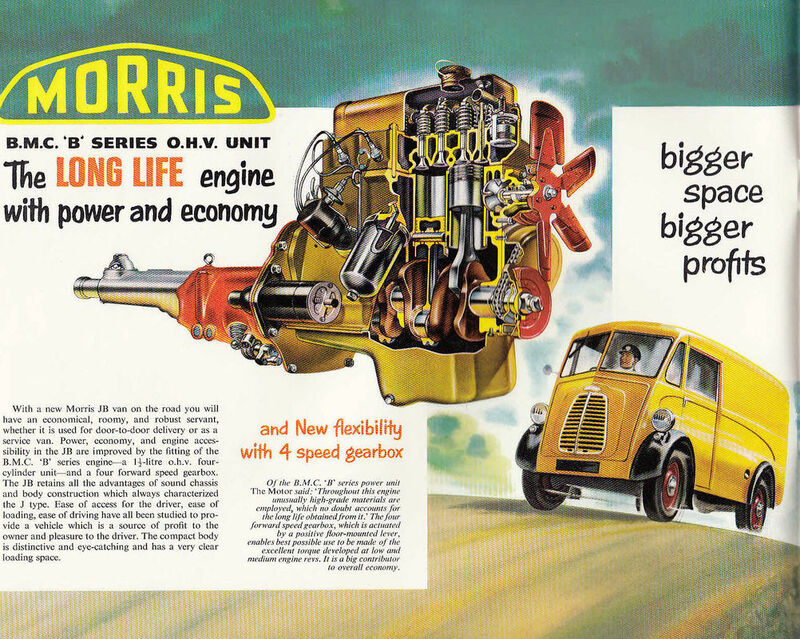 The J type is fitted with a 1476 cc four-cylinder side valve engine based on the one used in the contemporary Morris Oxford MO car. 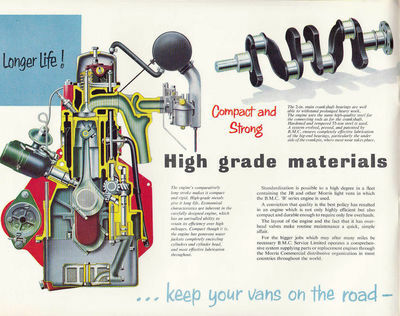 Drive to the rear wheels is through a three-speed gearbox and initially a spiral bevel type rear axle, later replaced by a hypoid type. 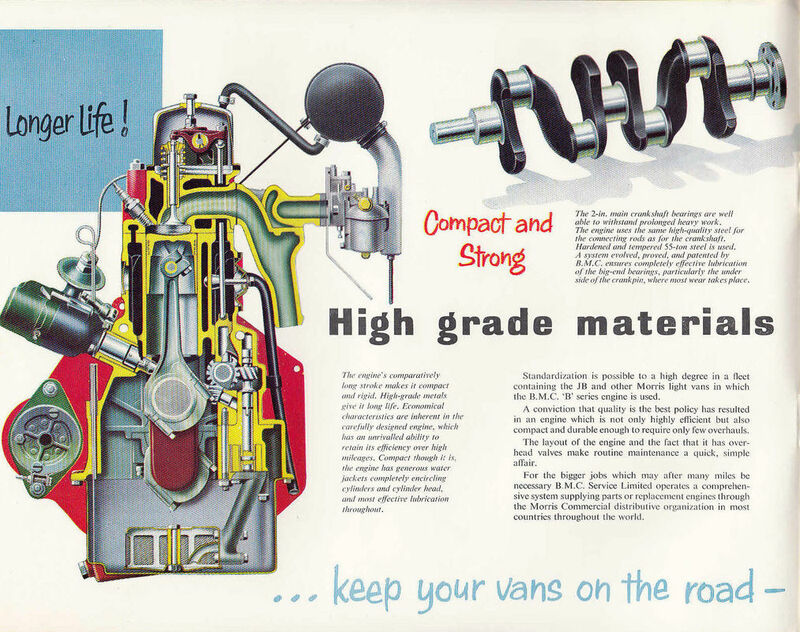 The van was updated to the JB in 1957 when an overhead valve 1489 cc, BMC B series engine was fitted along with a four-speed gearbox. 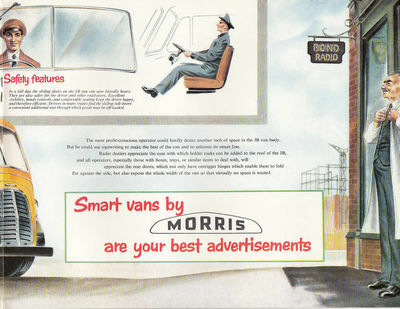 An Austin version of the van appeared in 1957 known as the Austin 101 and differed from the Morris only in badging and radiator grille styling. 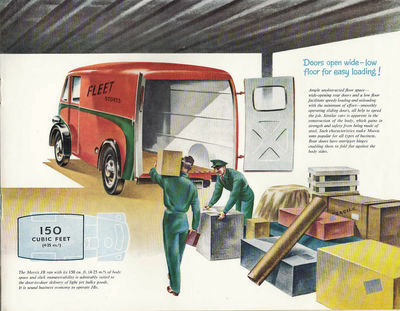 Production ceased early in 1961 after over 48,600 had been made. 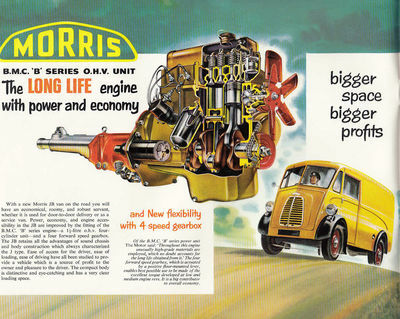 It was replaced by the Morris J4.